This Chandelier is available in Chrome, Brass, Bushed Brass and many custom colors. Please view the finishes we offer. The lamp measures 33” in Width, 23” Height, 90” Length. 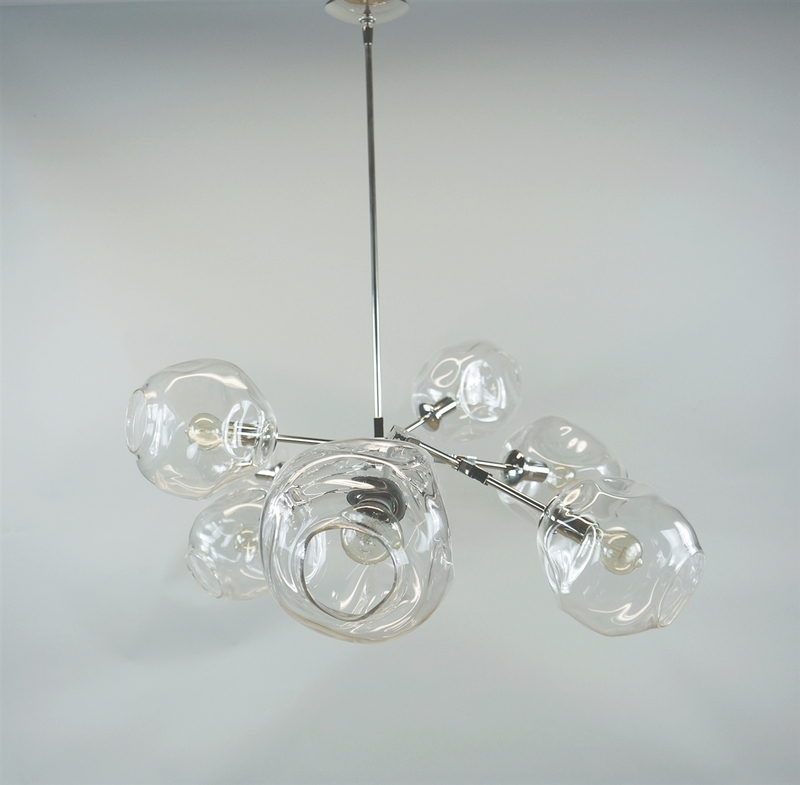 It has 8 hand blown Bubble shaped Organic clear glass globes 9"
Additional Information: This fixture does require minimal assembly. For shipping reasons the light comes in two halves. 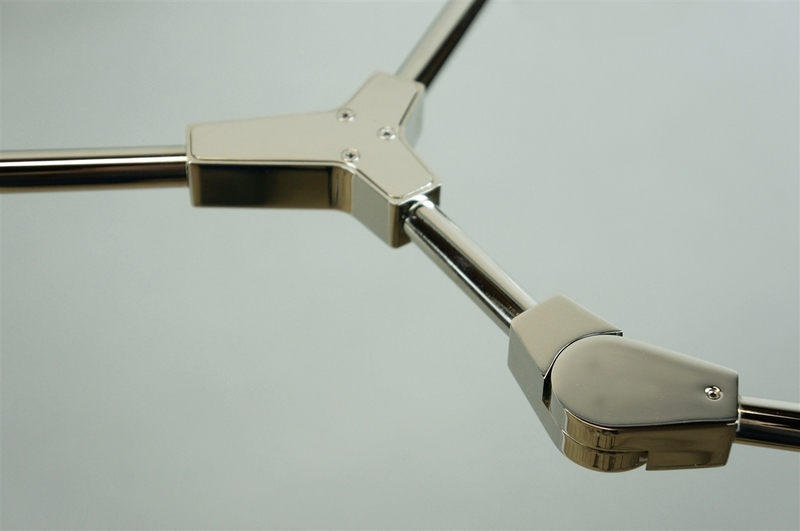 We will provide instructions on how to assemble the fixture. 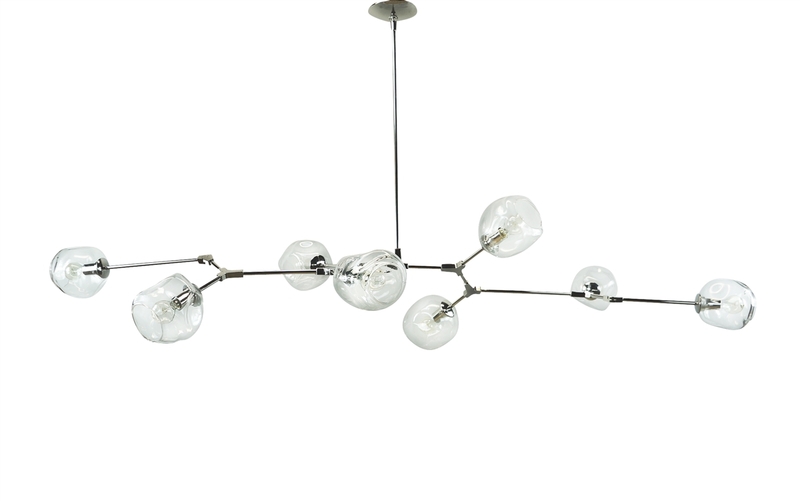 We specialize in Mid Century Modern lighting. All of our lamps are made in the USA. 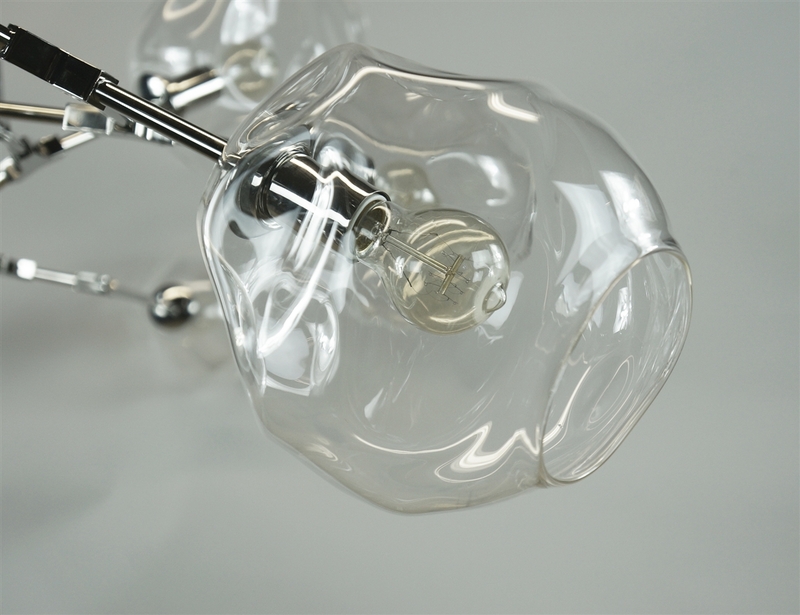 Each lamp is hand assembled with UL certified parts. 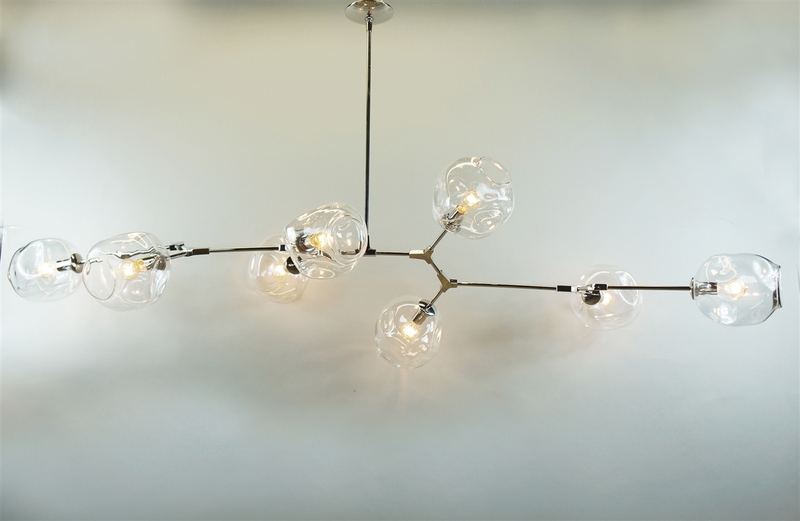 Due to each lamp being custom made there can be a slight variance in some finishes. Most lamps ship in 2-4 weeks unless noted. If you need the item sooner please email or call us. We may be able to expedite your order.